Most of the 3,000 species of walking sticks resemble small, brown twigs or sticks. The delicate insects must be handled carefully because their legs can easily break off. A few species, however, must be handled with care for the harm they can cause. Don't get too close to the American or two-striped walking stick, Anisomorpha buprestoides. When threatened, he shoots a strong-smelling, milky spray from 12 to 15 inches away, often into the animal, insect or human's eyes. The spray causes searing pain and vision disturbances lasting up to five days. Anisomorpha buprestoides is found in Florida, Texas, South Carolina, Georgia and Alabama. 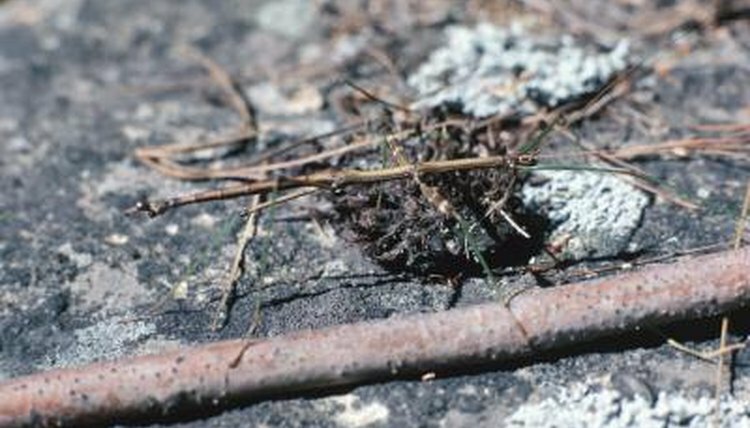 Other species, like the Australian or giant spiny stick insect (Extatosoma tiaratum), are covered with spines that can be prickly to pick up. When they clamp their powerful legs around a predator, a spike delivers a painful pinch. Other pinching walking sticks include the Malaysian jungle nymph (Heteropteryx dilatata) and the thorn legged walking stick (Eurycantha calcarata) from Australia.